Big Trees of New Hampshire, by Kevin Martin, 2014. 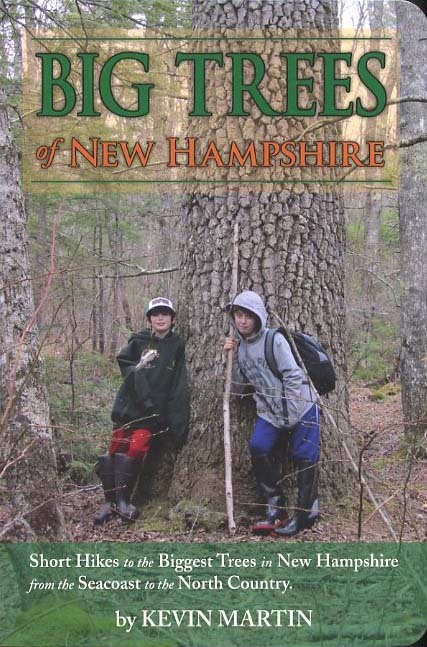 This unique new guide leads readers on 28 short hikes to find 85 of the granite State's largest trees on public land or in cities such as Concord, Portsmouth and Nashua. For each of the hikes and tours there are clear directions, a good map, description, and fine color photos. Included are a number of New Hampshire's "champion trees" for various species. There are trips for all ages an abilities. 188 pp, 6" X 9."